advancedlife are very Proud Gold Sponsorship Partners of Stewart House. advancedlife have been long time supporters of Life Education Australia and are proud to have raised over $60,000 for this amazing educational program. advancedlife was founded in 1984 by Maurie and Lesley Isherwood in their family home. From the beginning they threw themselves into the task of providing affordable, high quality and professionally produced photographic keepsakes that families would treasure forever. Possessing extensive previous experience in the field of school photography both in England and Australia, Maurie and Lesley realised how important it was that their service started with ensuring schools had a well organised and convenient school photo experience, so they focused on making school photography easy. As advancedlife grew it also became a family affair. advancedlife now boasts three generations of the Isherwood family, including son Jason, now our General Manager, and daughter Debra, our Production Manager. For more than 30 years, led by Maurie and Lesley and with branches around Australia, the advancedlife team has been responsible for countless innovations in the school photography industry. These innovations include the school photobook, high resolution free online portrait download, secure online ordering, and even the printing of students' names under group photos! Today we are continuing our tradition of innovation by developing new photographic products, and online services like the School Community Portal that help schools do away with cash handling and envelopes. In late 2014, advancedyou enabled parents to access a secure archive of images of their child taken by advancedlife through their school years, along with the ability to purchase online and have their purchases delivered to their home. All these innovations focus on making school photography easier for schools and families, and there's much more to come! At advancedlife we're also proud of the support we provide to community organisations to assist schools, students and their families to be their best. We're proud to support and partner with Life Education and Stewart House. 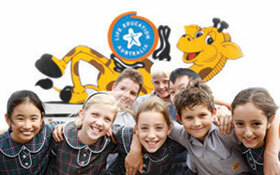 We also sponsor many Professional Educational Development organisations around Australia. In the three decades we've been working with schools and school communities we've provided more than $3.5 million to community organisations to support their valuable work. advancedlife customers will notice our superior quality, so their memories last a lifetime. advancedlife provide school photo products to meet your school's needs. Choose from Traditional Photo products, Photobooks or Family First layouts, each of which will meet the needs of the most discerning parent. The advancedlife team design, develop, print and pack each of these package options in our own in-house lab along with the associated portraits and products for your school such as staff photos, framed school photos, ID Cards, Alpha Directories and more. Our care ensures a timely delivery of high quality school photo products. High quality images are the foundation of our business and we make sure that we compose our Year and Class Groups with care as well as efficiency. We use professional photographic equipment supplied by Nikon and take great pride in the quality of our photography. Schools have specific needs when it comes to photography and whether it's promotional photography, traditional photography or whole school photography, our team delivers. Digital technology changes quickly and so do we. In the past five years we've invested more than $5 million dollars to ensure we have the best photo lab and production facility possible. Our lab features an array of digital and analogue printers that represent the cutting edge of image production and that guarantee your school photos will be delivered on time and meet our strict quality assurance criteria. We have our own dedicated In-house Print Management and Design team who work constantly with our customers to ensure that your school image is kept fresh and up to date. If you need help with school branding, graphic design, promotional design, printing services or simply need your logo re-drawn, advancedlife is here to meet your needs. advancedlife is committed to making school photography easy. Easy for schools and easy for families. You'll experience advancedlife's commitment to making school photography easy in everything that we do. Whether it's communicating with your school community, organising a promotional shoot to capture images you'll be proud of, designing beautiful school photo book templates for your school, or when you and your families use our online services; you'll notice the advancedlife difference. Everything we do is focused on giving you a great experience and outcome, so you can be confident that you have chosen the right partner for your school photography. Every school is assigned their own Client Manager and Customer Service Officer who are committed to making your school photography day an easy day. Making school photography easy for your school administration team and parents is our top priority! One of the ways we make it easy is through our dedication to customer service. Your school is assigned both a dedicated Customer Service Officer and a Client Manager. Your advancedlife team ensures all aspects of photo day administration, photography and your packages are produced seamlessly and to the high standards and traditions established by Maurie and Lesley Isherwood. Your customer service team will supply all of the advice and expertise required by your school administration team, as well as helping your school's parents with any enquiries they might have relating to school photo day. Your Customer Service Team can also help you with promotional photography, sports photography, event photography, fundraising, as well as professional school branding and print management. 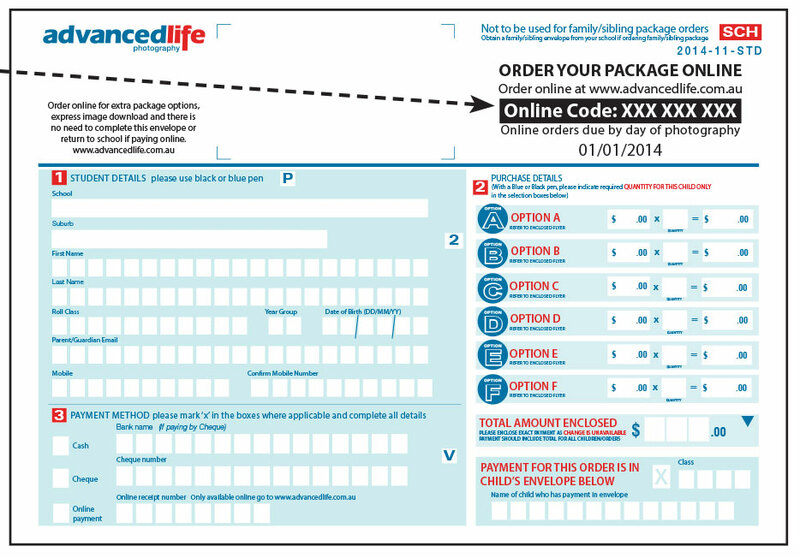 At advancedlife we have created secure online systems that work, and we have already seen a high percentage of families transition to online ordering. We anticipate that soon most, if not all, school photo transactions will take place online and that means no paperwork or cash handling for your school. advancedlife's online services facilitate all aspects of your school photo experience. Find out more about online services. Our team of expert photographers capture timeless images to last a lifetime. Our photographers know how to interact with children and families to ensure that every family receives images that are classic and professional. But of course we know the job isn't done when we've captured the image, so we've invested in both an exceptionally talented image development team and the best Fuji Xerox digital print technology. advancedlife continues to grow and develop as a result of our commitment to photographic excellence, service, quality and innovation.